So you’re looking into buying a piano? The two options available today are the traditional, acoustic piano and the digital piano in its many forms. Price will most likely dictate your choice, but your needs and what you want from the piano are important to explore as well. You may want a timeless, beautiful acoustic pianos that adds music to your whole home and can even act as a furniture piece, or you may want a multifunctional instrument that is portable too. 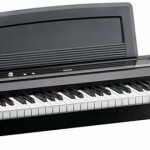 This article will go through the different types of digital and acoustic pianos available today and explain some of the benefits and detractors of the two types. My first piano as a kid was a relatively inexpensive keyboard. I loved that I could take it almost anywhere in the house, that it had all these fun sounds like drum set or string ensemble, and that I could turn it as loud as I wanted or as quietly as my parents needed. This anecdote highlights the many benefits of a digital piano. 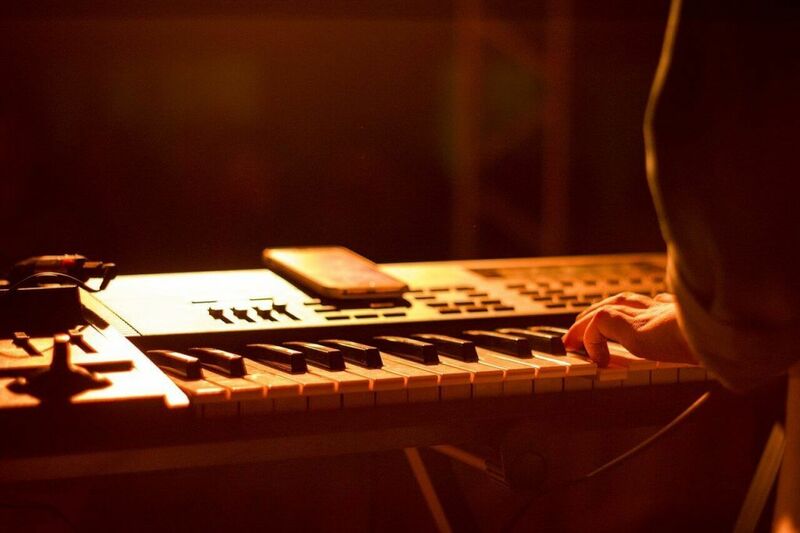 Your needs and wants in an instrument may direct you more towards a digital piano. They are more portable, affordable, and multi-functional than an acoustic piano. To many consumers, the trade off of true, acoustic tone for these aspects is a great compromise. On the surface, a digital piano works very much like a an acoustic piano: you press a key, and depending on how much velocity (depending on the model) you gave the note, it will be anywhere from whisper quiet to quite loud. They keyboard may be smaller depending on the model (the standard sizes are 49 key, 61 keys, 73 key, or the full 88). Most modern digital pianos can offer a convincing tone that is actually a recording of a real piano. Using a process called sampling, a real piano is played at many different velocities (how hard the key is played), note durations, articulations, and a number of other parameters to capture how the piano sounds. This is then paired with all the tech inside the keyboard to match the samples to the keys and when played. The detail and level of implementation is based on the value of the keyboard. Low quality models may only have one or two varieties of velocity, while high quality models will have such nuances as the key release and damper pedal noise. All this to say that there a wide variety of qualities when it comes to digital pianos. As mentioned before these pianos can be relatively inexpensive compared to an acoustic piano: a quality keyboard can be purchased for around $200, and a flagship digital piano can be purchased for a few thousand dollars, but compared to a professional grand piano, the saving are in the several tens of thousands of dollars. Additionally, most digital pianos come with other instruments sounds sampled or synthesized such as a variety of strings, bass guitars, woodwinds and brass, percussion and often sound effects. Likewise, their overall sound quality is determined by the cost of the digital piano. There are many types of digital pianos. This will not be an exhaustive list, but I hope to give you an idea of what is out there. There are portable keyboards that are often less expensive and compact. Though the sounds and “feel” of a real piano are lacking, they are perfect for someone on-the-go and some models can even fit in a backpack. 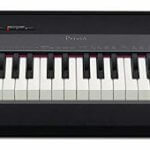 A “digital piano” is a type of piano on the market geared at those looking for a instrument with a convincing sound, but with lower price and portability. Some of these pianos are meant more for the stage rather than the home. Certain models even attempt to look like upright or even grand pianos. These type of keyboards are designed to have a truer “feel” than a portable keyboard and are a great choice for anyone looking for an acoustic piano, but may not have the space or funds available. The synthesizer keyboard can be left out of this discussion, but it is worthwhile to mention workstation keyboards and midi controllers. 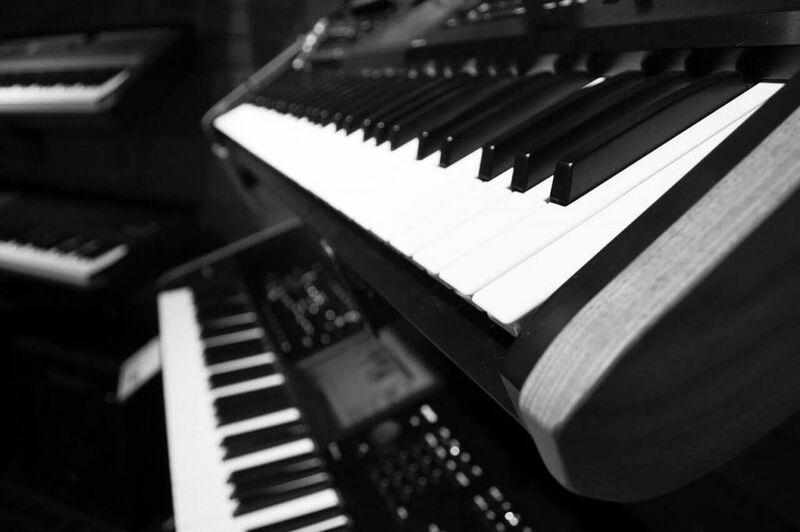 Workstation keyboards offer very high quality sounds with many types of virtual instruments and synthesizers, as well as sequencer functions, and even audio recording capabilities. They are more cumbersome and usually more expensive than the “digital” piano, but they do pay off in versatility and functionality. These are great tools for the professional musician. Finally, there is the usb or midi controller to address. These keyboards are typically light and portable similar to the portable keyboard, but do not have any sounds of their own. These days they rely on a computer with virtual instruments or an external sound module to produce sounds. These are highly configurable keyboards that can also have a very fine touch similar to the nicer quality digital pianos. A full sized, 88 key controller and a high quality bank of virtual instruments is a great option for the producer and pianist. 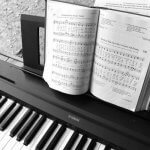 In this day and age of technology, a digital piano as a great option for someone looking to own a piano that is portable, versatile, and cheaper than a traditional piano. If you are someone even slightly interested in recording you music in a quality manner, I would recommend a digital piano, workstation keyboard, or midi controller. All of these instruments either have recording capabilities built in, or offer connectivity to a computer. Over usb or MIDI, these keyboards transmit what is called MIDI data which can be edited, manipulated, and perfected to capture a perfect performance. Both the workstation keyboard and digital piano offer high quality audio outputs that can be recorded into a home studio setup as well. Many people are familiar with the acoustic piano. Their current form was more or less perfected in the mid 19th century. They are a very complicated instrument and technically quite impressive. 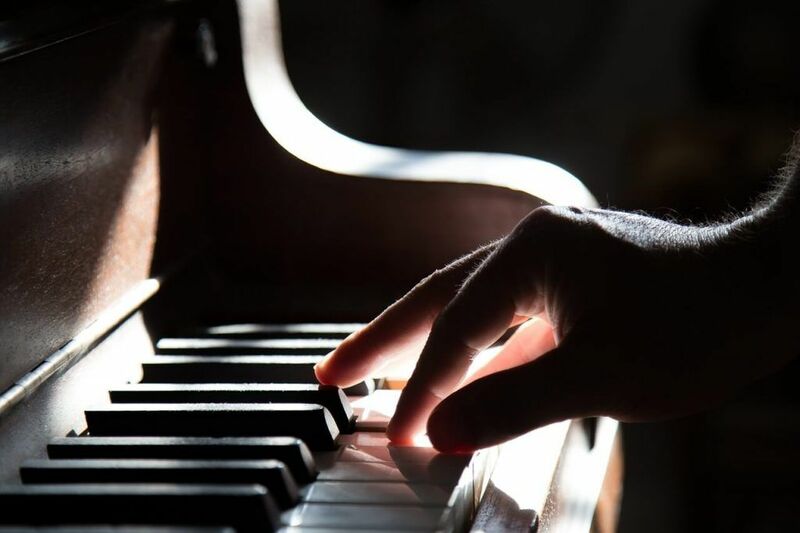 Most pianos have 88 keys and around 230 strings that are struck by felt covered hammers to excite the strings and cause resonance across the piano’s wooden soundboard. There are a few varieties of piano sizes as well. The spinet, console, studio, and upright are all types of pianos that house the strings and vertically. Grand pianos house the soundboard and strings horizontally and can range from a “small grand” of 4.5 feet all the way to concert grand which can be up to around 9 feet long. Acoustic pianos can also be very heavy ranging from a few hundred pounds up to 1,000 pounds. All this to say that owning an acoustic piano is a serious commitment due to its size, cumbersome nature, and weight. Unless you have a hired team of piano movers, your piano will be more or less stationary wherever you decide to put it. It is not a portable instrument. Additionally, not all acoustic pianos are created equally. A local search for pianos will yield many options within a seemingly great price of a couple hundred dollars, but many lesser brands will have pianos that need do not stay in tune well, have awkward and inconsistent action, and do not have the tonal qualities a piano should have. These pianos, in my opinion are not worth your time and if one is trying to save money, a digital piano is a better option. A very high quality acoustic piano such as a Steinway Model D can cost over $100,000. Of course, you get what you pay for as these are exquisite instruments that inspire and move players and listeners alike. If you can afford, and have the space for a piano like this, then of course this is a great option. 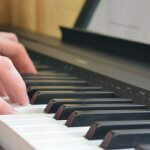 Though many musicians use digital pianos to play classical and serious art music, most would consider the acoustic piano the only music suitable for true study and performance. Technology has increased drastically with the digital piano, but the infinity of nuances with a fine acoustic piano is still not comparable to the best digital pianos. Serious exploration of the classical repertoire requires an acoustic piano, and any serious student should invest in one or even rent one. I can laud the modern achievements of the digital piano, but there is still nothing quite like an acoustic piano. Remember, if you choose an acoustic piano, it does need some regular maintenance. Tuning should be done at least once a year, occasionally something breaks and needs to get fixed, and sometimes it just needs a full tune-up. That’s not to say that digital pianos can’t have their own issues, just an acoustic is more needy and costly in this department. Finally, it is worthwhile to mention that there are a few “hybrids” available on the market, particularly Yamaha “TransAcoustic” pianos. These pianos are real acoustic pianos, but also have a very unique ability to change the volume, use different sound patches, and have greater sound projection than a digital piano. 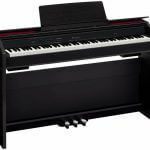 The wide variety of options in today’s acoustic and digital piano market can be overwhelming, but hopefully this article serves as a guide on what you should be looking for. With this knowledge, you’re on the right track for knowing what kind of piano works best for you. Have fun and make music!